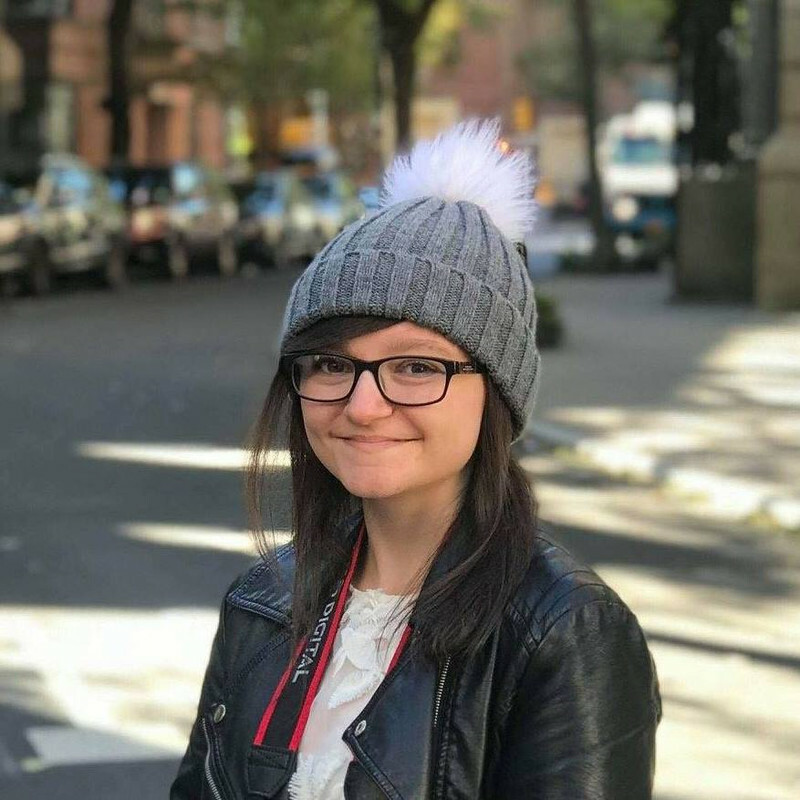 Addison Coleman's life is one big "What if?" As a Searcher, whenever Addie is faced with a choice, she can look into the future and see both outcomes. It's the ultimate insurance plan against disaster. Or so she thought. When Addie's parents ambush her with the news of their divorce, she has to pick who she wants to live with - her father, who is leaving the paranormal compound to live among the "Norms," or her mother, who is staying in the life Addie has always known. Addie loves her life just as it is, so her answer should be easy. One search six weeks into the future proves it's not. In one potential future, Addie is adjusting to life outside the Compound as the new girl in a Norm high school where she meets Trevor, a cute, sensitive, artist who understands her. In the other path, Addie is being pursued by the hottest guy in school - but she never wanted to be a quarterback's girlfriend. When Addie's father is asked to consult on a murder in the Compound, she's unwittingly drawn into a dangerous game that threatens everything she holds dear. With love and loss in both lives, it all comes down to which reality she's willing to live through...and who she can't live without. 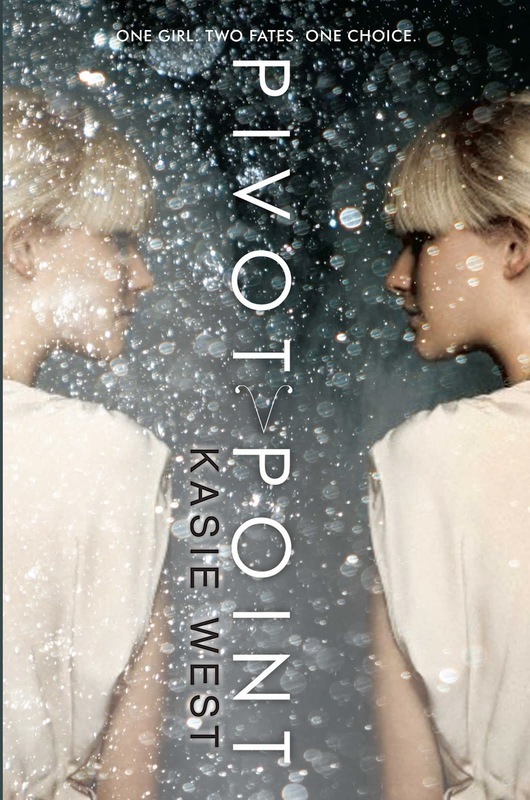 'Pivot Point' is a novel in which two worlds exist; the paranormal and the normal. The paranormal is a world contained in Texas, but normal people can't see it; only people with the special mind powers can. In the paranormal compound, everyone has powers whether it's Telekinesis like Duke, mind erasing like Laila or lie detection like Addie's dad. In the normal world, well...we all know what that's like, because we live in it! I love how the worlds kept getting closer and closer, making you anticipate the climax when both worlds would eventually collide. I think Kasie West could have done a bit more world building with the compound, but other than that it was excellent! I loved the protagonist Addie. She was smart, independent, funny and I loved her power (which I've forgotten the name of but it's similar to Clairvoyance). At the beginning she didn't have a crush on the quarterback, Duke - in fact, she despised him - which I also liked because it avoided a classic cliche! Laila, Addie's best friend, was nice at the start but towards the end I started to question whether she was a good friend or not. I couldn't really decide, so I'm hoping that will become clearer in the second novel. I really didn't like Duke and I had suspicions about him from the start. Even his name irritated me (sorry if your name is Duke!) He was too full on and he always got what he wanted, including Addie. Trevor, the other main male character, was lovely! I adored him and I definitely ship him with Addie. He is so sweet and genuine, whereas Duke isn't. In 'Pivot Point', there is insta-love with Duke and Addie. I'm not a fan of insta-love but in this case it had to be done and it definitely benefited the story. Through using insta-love, West was directing the reader to prefer Trevor and Addie's relationship over Duke and Addie's, and it worked! Sometimes I was confused by the alternating chapters - one chapter would be in the paranormal compound and the next would be in the normal world. It got harder to distinguish between the two as the parallel worlds got closer because I would forget what had happened in the last compound chapter and so on. I knew I would love this book as soon as I saw the beautiful cover. Yep, I judge books by their covers, guilty as charged! I'm desperate to read the sequel which will be out in February - I need it NOW! I'm absolutely delighted at how it turned out. *Simon Cowell voice* "It's a yes from me." Great review! I really loved this book and its parallel storylines. Duke wasn't my favourite either, I liked the other guy so much better:) Can't wait for book 2! Thanks Eveline! Split Second is going to be so good! THis book sounds soooo good, I really must pick this one up very soon! Thanks for reviewing, Amber! I loved this book too! And, like you, I can't wait to get my hands on Split Second!! Ahhh it's going to be so good! 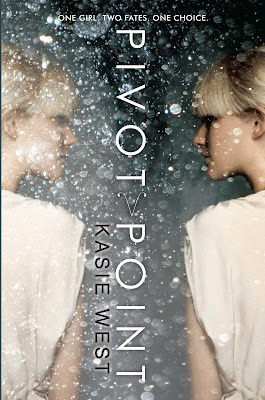 I absolutley loved Pivot Point, it's one of my favourites of the year! Have you read her contemporary novel, The Distance Between Us? I loved that one too. Luckily I have had a uncorrected proof of Split Second for a while now, but I'm trying to wait until closer to it's release. So glad you enjoyed this, I didn't like Duke either. Great review Amber! I haven't read The Distance Between Us but I REALLY want to - I think Kasie West could become one of my favourite authors! Soo jealous of your copy of Split Second. Thanks Sunny! I absolutely loved this one! Definitely agree with everything you said! Great review.